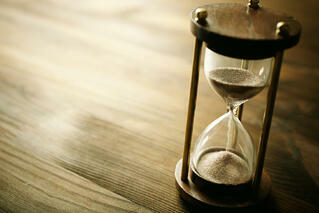 How Long Does It Take for Inbound Marketing to Show Results? We humans have a well-known penchant for instant gratification. However, those who have learned to defer it usually wind up much better off. There is no such thing as an overnight success; most of those stories hide the time and effort spent getting there. If you already understand that success will take time, you are more willing to take the time to succeed. And you will be more efficient and effective in your efforts because you understand the power of strategy and planning over scattershot efforts. As they say, the best things come to those who wait. It takes time to put together a strategy. It takes time to gather enough data to guide actions. Inbound marketing requires an up-front and continuing investment of time. You must take the time to research your customers’ habits, assess your competition, and determine the best way forward for your product or service. Once you have determined your strategy you must take the time to implement it properly. Developing effective content means researching keywords, finding resources, and the actual, physical act of creating the content. How long does it take you just to type 800 words? Now add in the time needed to determine a topic, locate and consume authoritative information to support your statements, synthesize the information, and put it into a compelling, relevant blog post. Once complete, that post will be promoted on the appropriate networks and digital media where the intended audience can easily find it. And that is for a single piece of content. But this content will be worth the time because it will have been created for a specific audience, keyed to that audience’s needs, and it can be re-used as the basis for other content. Multiply this by 10 or 100 over a period of time and you have built a pool of content specifically for an audience who is interested in what you have and is more willing and qualified to purchase it. A 300 word article, quickly but poorly written, with unsubstantiated or irrelevant content and no promotion may be cheap but it is less likely to return even that lower investment once all is said and done. The following are some statistics from an MIT study entitled “Return on Investment from Inbound Marketing through Implementing HubSpot Software.” This study is dated 2014 and is the culmination of research done by students of the MIT Sloan School of Management. Over 90% of the users in the study saw an increase in website traffic and leads due to inbound marketing. Nearly 50% saw an increase in sales. This is in comparison to results from traditional marketing. A further analysis showed numbers of leads in the database increased by 2.6 to 8 times after 6 months. Those numbers increase by up to 47 times over 12 months, all from the practice of inbound marketing. That success included increases not only in leads, but in number of sales. In addition, the sales cycle was typically much shorter. This impact continues over time because the methods and tactics used in inbound marketing pay dividends far longer than traditional marketing. Content and audience building is a large part of inbound marketing. This puts content online that can continue to attract customers for months and years to come. It also conditions your targets to look for more of your content and expect it to be extremely valuable; you become known as a reliable expert. So How Much Time Are You Looking At? There are several factors driving the amount of time you can expect inbound marketing to show results, much of it having to do with what you have already accomplished with your website, social media outreach, blog promotion and the competition you face. The older your website the better; it has had some time to develop some authority. Of course, if you have been practicing good SEO then so much the better. A newer site will take longer to ramp up to speed. The same applies to social media. If you have selected the right social media (where your customers hang out) and built a fan base you are much farther ahead than you would be if you are just now getting on the social networks. The more followers you have the more you can attract. To expand that faster, you need to get some “influencers” following you as well; they will bring another level of audience to you. Lastly, keep an eye on your competition. What are they doing to promote their content and business? Are they ahead of you in the process of inbound marketing? Can you get out in front or do you need to sneak in the back way? Is their content valuable? Looking at these factors Click Finders found that over a 12 month period, a business with medium competition, average authority, minimal SEO and average social reach grew their organic search engine traffic from near zero to over 12,000 visitors per month. Growth really took off at month 4 and again at month 9. If you are farther behind, this example may fit you better. A site with medium competition but low authority, poor SEO and no social media reach built traffic over 12 months from zero to nearly 7,500 visitors a month. Still an impressive feat. The operative idea here is patience; like the tortoise and the hare, slow and steady wins the race. Inbound marketing will win over traditional marketing and great inbound marketing strategy, planning, content and measurement will beat fast, sloppy, non-promoted inbound marketing. Don’t get discouraged if you don’t see substantially more traffic for the first three months. Once a few people find your content and your site it will start to expand from there, sometimes exponentially if you have the right stuff.